Tony Stark: Iron Man #8: eScaping cliches – AiPT! This issue features race-against-the-clock suspense as Stark and his team scramble to stop the eScape from going out of control. 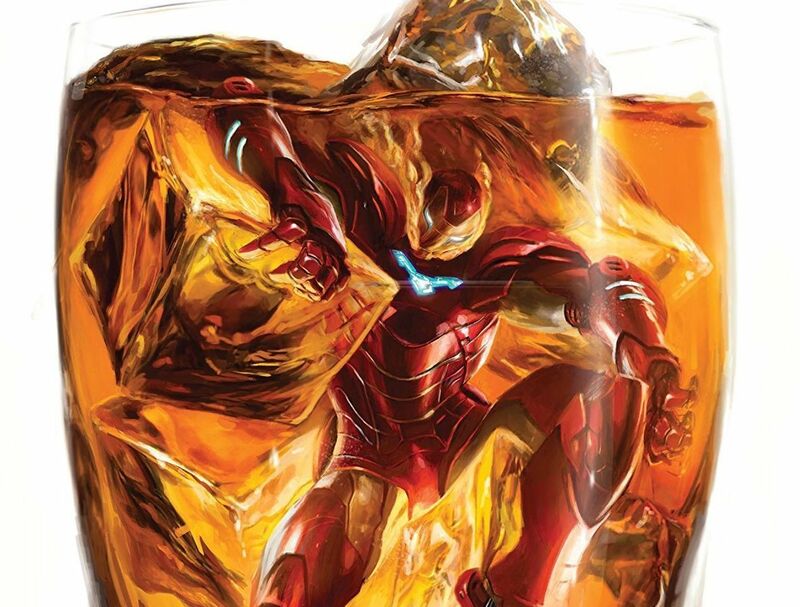 We’re three issues into Slott’s first narrative arc for Tony Stark: Iron Man, “Stark Realities”, and it’s progressing in suspenseful and messy ways. Much of this issue is action with a race-against-the-clock suspense as Stark and his team scramble to stop the eScape from going out of control. In several ways, Slott elevates the running and gunning. There’s a wonderful little beat where Tony Stark switches to non-lethal force because he realizes he’s dealing with humans under control. That gives him an idea — what if he could switch eScape attackers to non-lethal? It doesn’t work, but the attempt illustrates that Slott is thinking through all kinds of possibilities and working it into the story. He’s beating nitpickers to the punch. Slott doesn’t want us to forget most of Stark’s attackers are normal, human users of eScape — and they’re wreaking havoc on other humans. The first few pages spend time darting around the globe to view the chaos and destruction through news cameras. It feels like a response to Man of Steel, proudly shouting, “here are the people hurt by this threat.” But focusing on the people in danger also ups the stakes. Unfortunately, the tantalizing idea of the eScape gets messy when it comes to theme and metaphor. The villain is a hulking being who talks exclusively in video-game terms, such as: “[I’m] the boss level!” and “I have yet to level up to my final form!” Without giving too much away, Tony Stark’s mind gets messed with where he’s tempted by the idea of living a care-free life. So…is Dan Slott saying VR/video games are easy but ruinous escapism? That the tantalizing, consequence-free format can lead people to destroy their “real lives?” I hope not, because it sounds dangerously close to the much-debunked idea that, “video games cause violence!” I would guess that Slott is just having fun with the basic concept, but the surfacing metaphor (intentional or not) isn’t tremendously nuanced. A lot is asked of Valerio Schiti in the issues of Tony Stark: Iron Man. Here he’s tasked with the unenviable task of illustrating thousands of humans-turned-drones attacking on a global scale. As usual, he does a very solid job. It’s not his most impressive work in terms of layout, composition, and detail, but he gives just as much detail to faces as ‘sploding splash-pages. Dan Slott is an expert on ratcheting up tension, and despite the confusing subtext, this is an appropriately harrowing adventure. The eScape is a tangled metaphor.